CEDAR RAPIDS, IA – Linn County Public Health announced today that it has achieved national accreditation through the Public Health Accreditation Board (PHAB). The national accreditation program works to improve and protect the health of the public by advancing the quality and performance of the nation’s tribal, state, local, and territorial public health departments. To receive accreditation, a health department must undergo a rigorous, multi-faceted, peer-reviewed assessment process to ensure it meets or exceeds a set of quality standards and measures. Linn County Public Health is the first health department in Iowa to achieve national accreditation. 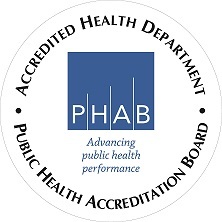 “Linn County Public Health is truly thrilled to obtain national accreditation through PHAB today. As a local health department, we now stand out among the best in the nation,” said Pramod Dwivedi, Health Director. “Linn County residents are now assured that the public health services that they receive are of the highest standards. Their health department is demonstrating increased accountability and credibility to all stakeholders including funders and elected officials. The national accreditation program, jointly supported by the Centers for Disease Control and Prevention and the Robert Wood Johnson Foundation, sets standards against which the nation’s more than 3,000 governmental public health departments can continuously improve the quality of their services and performance. Accreditation is valid for five years. Public health departments play a critical role in protecting and improving the health of people and communities. In cities, towns, counties, and states across the nation, health departments provide a range of services aimed at promoting healthy behaviors; preventing diseases and injuries; ensuring access to safe food, water, clean air, and life-saving immunizations; and preparing for and responding to public health emergencies. The Public Health Accreditation Board (PHAB), established in 2007, was created to serve as the national public health accrediting body, and is jointly funded by the Centers for Disease Control and Prevention and the Robert Wood Johnson Foundation. The development of national public health accreditation has involved, and is supported by, public health leaders and practitioners from the national, Tribal, state, and local levels. Learn more about PHAB or sign up for the PHAB e-newsletter by visiting www.phaboard.org. Linn County Public Health is Awarded “Local Health Department of the Year – Medium Category"